The Northern China import price of 62% Fe content ore declined slightly on Friday, but stayed above the $80 per dry metric tonne level after data showed imports by China, top consumer of the steelmaking raw material, hit an all-time high last year. 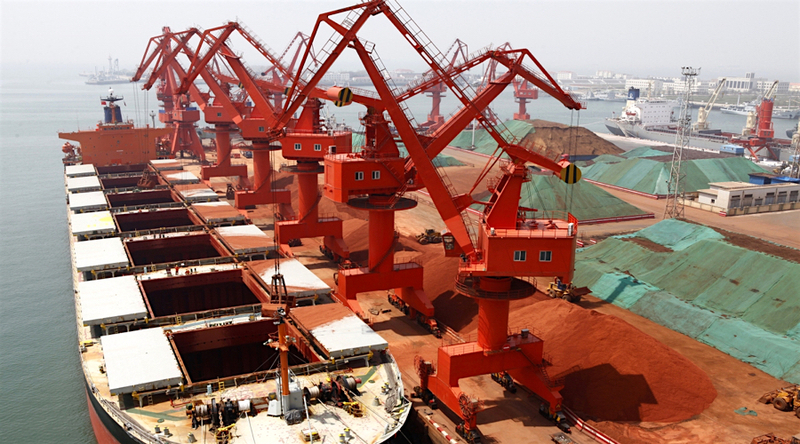 Trade figures released overnight showed China imported just under 89 million tonnes of iron ore in December, down 3.2% month on month. The value of imports for December was the highest since September 2014 with the benchmark price averaging just under $80 during the month. Forging more than half the world's steel, Chinese imports of iron ore for the full year 2016 topped one billion tonnes for the first time. The 1.024 billion tonnes constitute a 7.5% increase over the annual total in 2015 and is indicative to what extent exporters from Brazil and Australia has been able to displace domestic producers struggling with low grades and high costs. The total value of cargoes climbed to just under $58 billion, with the average import price over the course of 2016 at $56.50 per tonne. The all-time record in terms of dollar value was set in January 2014, when the country imported $11.3 billion worth of iron ore back when prices were firmly in triple digit territory. 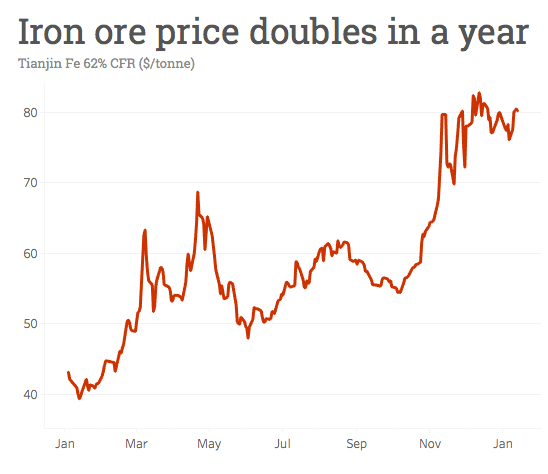 The iron ore price has doubled in value over the past year following near-decade lows of $37 a tonne in December last year according to data supplied by The Steel Index.